Christopher Guest, Michael McKean, and Harry Shearer will all appear for a one-night-only concert in which they’ll perform as themselves in tribute to Spinal Tap. While they won’t be character as Nigel Tufnel, David St. Hubbins and Derek Smalls, they will still presumably use the accents. (The intro to “Stonehenge” isn’t nearly as effective without them.) They’ll be joined by the film’s director, Rob Reiner, for a conversation after the show. 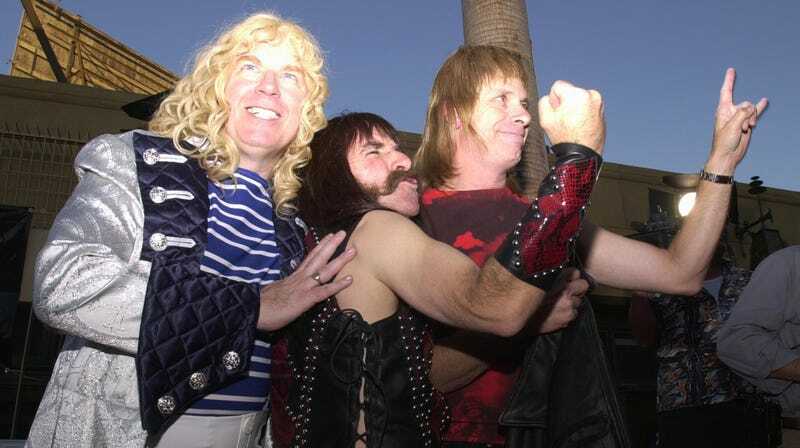 Guest, McKean and Shearer last reunited for a tour as Spinal Tap in 2009, and have worked together musically as The Folksmen—the trio from the 2003 mockumentary A Mighty Wind—since 1984. Harry Shearer’s Derek Smalls character also released a solo album this year called Smalls Change (Meditations On Ageing), which features some of the real rock legends that the fictional Smalls has befriended over the years, including Dweezil Zappa, David Crosby, and Donald Fagan. If that isn’t enough nostalgia and/or angst for you, next year’s Tribeca Film Festival will also by hosting a special 25th anniversary celebration for Ben Stiller’s Generation X classic Reality Bites. Stiller will be in attendance, along with cast members Winona Ryder, Ethan Hawke, Janeane Garofalo, and Steve Zahn. The 2019 Tribeca Film Festival will run April 24 to May 5, 2019., with announcements of more screenings and special presentations to follow. We’re looking forward to finding out which famous drummer has a death wish and will sit behind the kit for Spinal Tap. No word on whether Viv Savage is available for keyboard work.